Vocal Disorders: How to Be HEARD this Holiday Season! This is the time of year where people all over the world are celebrating holidays and preparing to bring in the New Year. It can be a very exciting time of the year! You spend lots of time with great friends and family. There is good food and parties… gifts, and just lots of excitement. However, it is also a stressful time of the year. It is a very LOUD time of the year. Everyone seems to be TALKING and there is just a LOT of noise, in general. If this is stressful for people without a vocal disorder, I can only imagine how it feels to have a vocal disorder and deal with this situation. So, HOW do you RISE ABOVE the NOISE and STILL BE HEARD during the HOLIDAY SEASON? Don’t Isolate Yourself – Do not allow your vocal disorder to cause you to stay home during the holiday season. 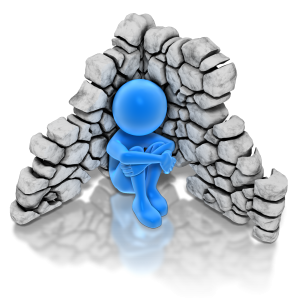 If you isolate yourself from every situation, then you have a 0% chance of being heard. OK, so maybe you will only have a 25-50% chance of being heard if you attend gatherings, but it is better than 0%, right? Plus, if we’re really being honest, many people without vocal disorders are not even heard 100% of the time. Plus, the people who love you would rather have you there. Stay Calm – The more frustrated you get when trying to communicate, the worse your speaking voice may become. So, do what you can to stay calm. Speak affirmations beforehand, if you have to. Yes, I know it shouldn’t have to be like this and it may not seem fair that you have to do this when others may not, but understand that we never really know what others are going through. There may be someone at the gathering with a social anxiety who had to meditate for an hour just before walking in the door. There may be someone who had to avoid eating all day, because they have stomach problems and they would have been horribly sick if they had eaten anything beforehand. So, while preparing yourself to remain calm may seem unfair, it is more normal than you may think. Let People Know You May Need Help – My Mom has a vocal disorder. As such, there are times when she has a communication buddy. This is not necessary all the time, but if we are in an especially loud place (like a restaurant), she will whisper her order to me or my niece and we will recite her order to the server for her. She has no shame or pride about it. She lets us know she needs help and it works out well. Be Creative! – Do what you have to do to get your point across. Whether it is mouthing words, sign language, writing it down, using an iPad app, or something else… try using other tools and aides to help get your point across in the conversation. The fact of the matter is, holidays are about love and sharing. Your loved ones want to share this season with you as much as you want to share it with them. So, consider doing what it takes to engage yourself and they may be willing to do what it takes to better engage you. Who knows? Your efforts may lead to the next great communication innovation!!!! So, what other ideas do you have to help your voice be heard during this holiday season?